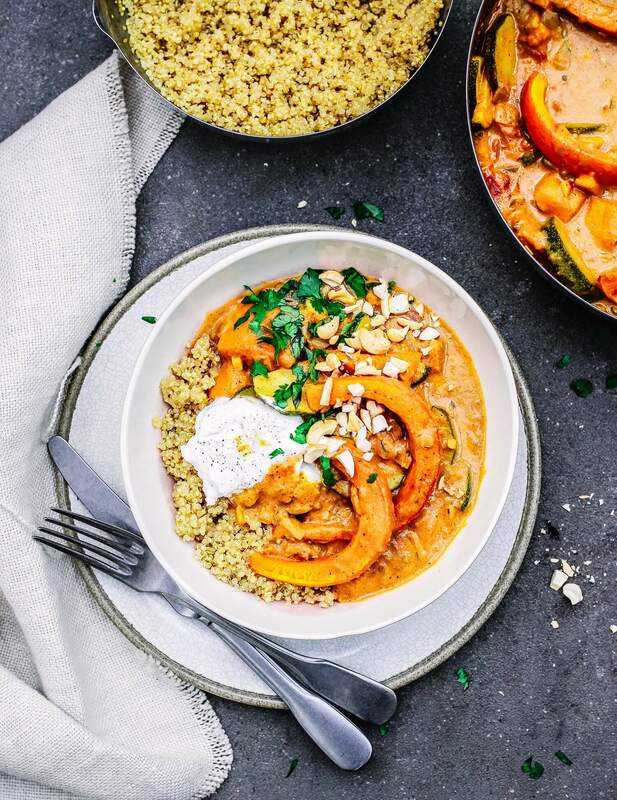 This time of year calls for hearty, comforting dinners and this roast pumpkin curry is just that. It’s so dreamy whether you’re sitting down for a family dinner or curling up by the fire with a bowl in your lap. Pumpkin makes the best curry, it’s so gorgeously creamy and smooth. You can use butternut squash if you need to but it’s in another league if you use pumpkin. It’s so worth a few minutes of scooping out! Preheat the oven to 200’C. Start by peeling, scooping out and chopping your pumpkin into cubes. Drizzle some coconut oil over the pumpkin, season well with salt and pepper and roast for about 30 minutes until tender. While that’s roasting, slice the courgette. Heat a tablespoon of coconut oil in a medium sized pot on medium heat and add in the mustard seeds. When they start to pop, add in the diced onion. Cook for a few minutes until the onion has started to soften, then add in the minced garlic, ginger, chili and spices. When the onion is soft, add in the courgette and toss well. Pour in the coconut milk and chopped tomatoes. Add the roasted pumpkin and bring it to a simmer. Let it simmer for about 15 minutes until the courgette is cooked. I serve mine with fluffy quinoa, coconut yoghurt and lots of roasted cashews. Pumpkin curry? omg yes please. Made this last night with sweet potato and it was delicious. My first genuine curry and it really was just amazing. Have some leftovers for lunch today and I’m hungry already just thinking about it. Thank you. 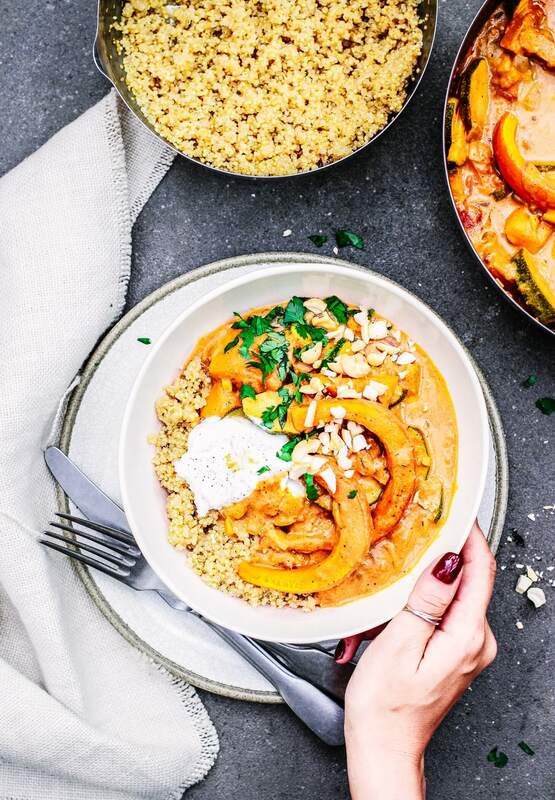 Love the idea of pumpkin in curry. What a comforting fall combo! This looks amazing. Yum. Thanks for sharing the recipe.